COLONIAL WILLIAMSBURG, Va. — According to eyewitness accounts on and around Duke of Gloucester Street, Williamsburg colonist reenactor Frederick Blacker has really been getting on the nerves of British patrolman reenactor Roger Smith. Recently installed webcams throughout the living-history museum have captured Blacker heckling Smith on at least four occasions. Last March, the new president and CEO of the Colonial Williamsburg Foundation Mitchell Reiss admitted that in order to survive, the organization’s programs will now be “accurate-ish.” In the current battle for historical representation, Blacker and Smith are on the front-lines. Blacker also claims that some of his actions are retaliatory and he questions what the patrolman is doing there to begin with. Erika Stewart, the Human Resources Manager for interpretation, hired Smith following the Foundation’s last Under the Redcoat, a special reenactment event during which British soldiers submit Williamsburg colonists to martial law. Smith is now stationed in rotating locations throughout the open-air museum to answer visitor questions without breaking character. As of presstime, Smith was seen shuddering while Blacker waved hello using the plastic spoon from his Baskin-Robbins Butterfinger Mix-In. 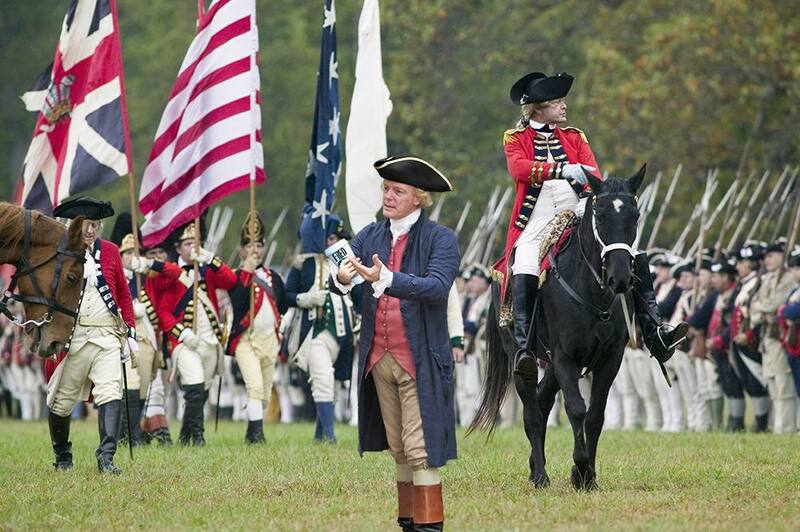 The Peedmont is grateful to the staff, historians, and volunteers who help bring Colonial Williamsburg to life. To make a donation to support their work, check out their website here.